It's that time again! The snow has arrived and we are making summer plans already. 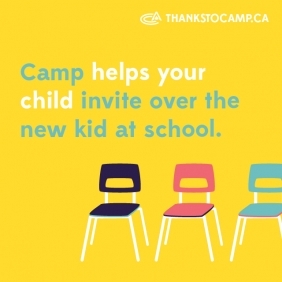 Our camper registrations are steadily coming in and we're looking to hire the best staff team to provide exceptional camp programming for our 2018 campers. We are excited to announce a few new job positions as well as updates to some of our existing job descriptions. Be sure to read through these descriptions online before submitting an application. All new staff will need to create an account with Campsite, our online application portal. All returning staff are able to access their existing Campsite account from 2017, but must submit a new application for 2018. Counsellor in Training applications are now open as well. Think you've got what it takes to join our amazing staff team? Apply online now through our Campsite Staff Dashboard.